Proudly presented by Volunteer is Fun! Pondering what to do this coming school holiday. 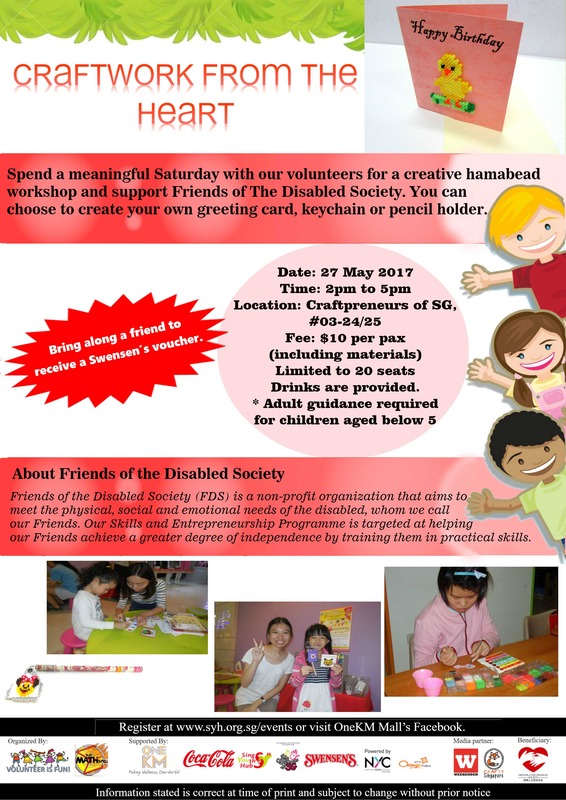 Bring your kids and let them have a fulfilling day at our craft corner to create their own hama beads art piece. BRING A FRIEND ALONG TO ENJOY FREE SWENSEN’S VOUCHER.